New York - Following a meeting of the government on August 18, Mohammed Lamine Oueld Cheikh, spokesperson of the Mauritanian government, denied the existence of any diplomatic tension with Morocco. While this statement can be understood as an attempt to diffuse the tension between Morocco and Mauritania, the facts suggest otherwise. 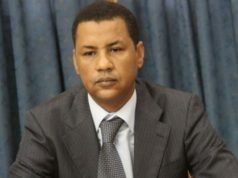 New York – Following a meeting of the government on August 18, Mohammed Lamine Oueld Cheikh, spokesperson of the Mauritanian government, denied the existence of any diplomatic tension with Morocco. While this statement can be understood as an attempt to diffuse the tension between Morocco and Mauritania, the facts suggest otherwise. The unprecedented latent tension between Morocco and Mauritania has caught the attention of observers in recent years amid the almost total absence of channels of dialogue at the highest level. The latest sign of this discord emerged in recent months when Mauritania raised its flag in Lagouira last December. 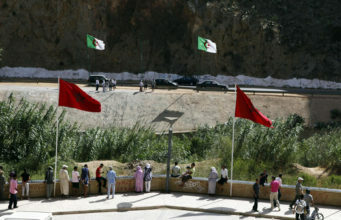 Because Lagouira is regarded as a symbol of Morocco’s full territorial integrity, this action marked an increase in tension between the two countries. Fearing that the Polisario would exploit this incident and gain a foothold in the region, Morocco dispatched a high-level delegation to Nouakchott on December 12, 2015, which requested an explanation of the decision to raise the Mauritanian flag in Lagouira. Morocco’s decision to send, on August 14, 2016, security forces to the Guerguerat area located at the border between Morocco and Mauritania to fight illegal trade in the region, also stressed relations between the two countries. Following this decision, Mauritania’s president ordered a military state of alert and deployed missiles at the Moroccan border. 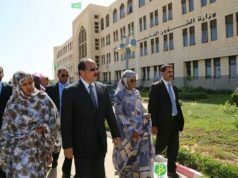 These moves disprove the statement made by Mauritanian officials rejecting the assertion of diplomatic tension, and to the contrary demonstrate that the bonds of brotherhood and cooperation between the two countries have been broken. The signs of these sour relations emerged less than two years after President Mohamed Ould Abdel Aziz took office in 2009. 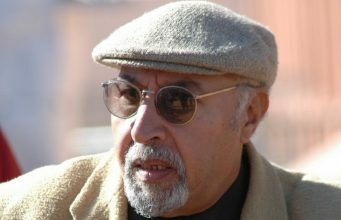 In December 2011, Mauritanian authorities ordered the director of the Maghreb Arab Press office in Nouakchott to leave Mauritanian territory within 24 hours, accusing him of being an “agent” of Morocco’s foreign intelligence service. 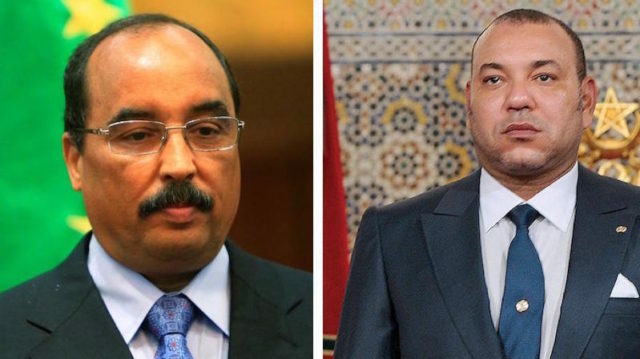 Distrust between the two countries deepened after Mauritania concluded that Morocco was behind the failed assassination attempt targeting President Ould Abdel Aziz in October 2012. While Mauritania has worked for several decades to maintain balanced relations with both Morocco and Algeria, President Ould Abdel Aziz began to move away from this approach, showing a clear sympathy with the Polisario and more openness toward Algeria. The Mauritanian President’s insistence on keeping his country’s relations with Morocco in limbo and the new orientation of his foreign policy suggests that he does not wish to see Morocco end to the Sahara conflict. 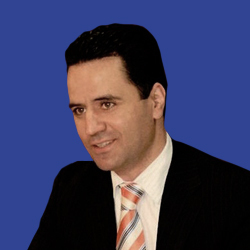 Rather, Ould Abdel Aziz seems to prefer the establishment of a weak state on its northern border. In this scenario, Mauritania would avoid being encircled by Senegal, a country with which it also has strained relations, in the south, and Morocco, a strong state, in the north. Mauritania’s President has regular contact with the leadership of the Polisario, and his meetings with some of its leaders leave no doubt as to his sympathies with the separatist movement and his wish for the establishment of an independent state in Western Sahara. For instance, Ould Abdel Aziz met on August 11 with M’hamed Khadad, a member of the Secretariat of the Polisario Front, who delivered a message from Polisario’s Secretary General, Ibrahim Ghali, regarding the latest developments concerning the Sahara. What further strained the relations between the two countries is that President Ould Abdel Aziz began to give this tension a personal dimension. Through this escalation, he has sought to convey his displeasure at the fact that Morocco has not included Mauritania in the strategy King Mohammed VI has adopted in the past ten years to promote Morocco’s economic presence in sub-Saharan Africa. 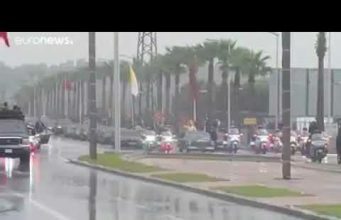 While the Moroccan monarch has visited Senegal, Gabon, Cote d’Ivoire, and other African countries on more than one occasion, he has not visited Mauritania in the past 10 years. Regardless of the perception the lack of any visit by King Mohammed VI to Mauritania has caused, it appears that the Mauritanian President has political convictions and orientations that do not include Morocco as a prominent strategic ally. 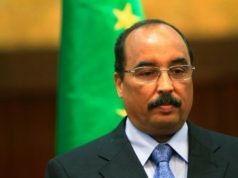 In addition to not only sending a message of condolence after the death of Polisario leader Mohamed Abdelaziz, but describing him as a President, sending a high-level delegation to attend his funeral, and announcing national mourning for three days, he refused to receive a Moroccan delegation prior to the 27th African Union summit in July. This refusal may have been merely a personal response to King Mohammed VI’s inability to receive Mauritania’s Foreign Minister who was carrying a message from the Mauritanian President to the Moroccan monarch ahead of the Arab League summit. In addition, during the Arab League summit that was held in July in Nouakchott, Mauritanian authorities displayed a map of Morocco without the Sahara, in a flagrant violation of the traditions of the Arab League. Before all these moves, Ould Abdel Aziz made a phone call to the former leader of the Polisario on November 6, 2015. The phone call took place at the same time as King Mohammed VI’s visit to the region to celebrate the fortieth anniversary of the Green March. 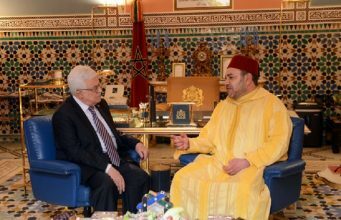 That the phone conversation occurred just a few days after Ouled Abdel Aziz was declined a meeting with the Moroccan monarch during the India-Africa summit in New Delhi in October 2015, suggests that the Mauritanian president may have taken the snub personally and seeks to retaliate against Morocco. Despite Morocco’s efforts to bring relations with Mauritania back to normal, Mauritanian authorities have showed no interest in easing tensions between the two countries. 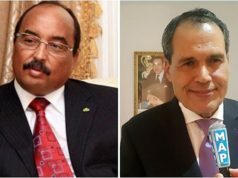 One indication is that the position of Mauritania’s ambassador to Morocco is still vacant after nearly five years, and Mauritania has reduced its diplomatic presence in Rabat to its lowest level ever. Mauritania’s decision to prevent the entry of trucks loaded with agricultural products into its territory and its refusal to renew the residence cards of some Moroccan employers working in foreign companies are definitive signs that this country, under the policies of President Abdel Aziz, has chosen a political orientation that does not consider maintaining a good relationship with Morocco among its top priorities. Instead, Mauritania appears bent on giving importance to consolidating its relations with Algeria, the Polisario Front, and certain sub-Saharan countries. In light of Mauritania’s apparent growing hostility to Morocco, the latter should act strategically with foresight, show composure, and avoid opening up a new front at its southern border that the Polisario may use to isolate Morocco in the region and portray it as a country that does not abide by international law and does not respect its international commitments.